Did you know that when you upload photos to the Internet they can tell more about you, then you would want to disclose to a random stranger watching it? Where you live, where you spend time with your kids, when you are at home, and when you are not. How is that? Modern smartphones and cameras can add additional information to digital photos they create - date and time, camera model, and lot's of other information, including GPS coordinates of place where photo has been made. And when you upload such photo to your favorite social network it might either display this info explicitly, or just leave it intact and any user who's watching it can find you on a map. 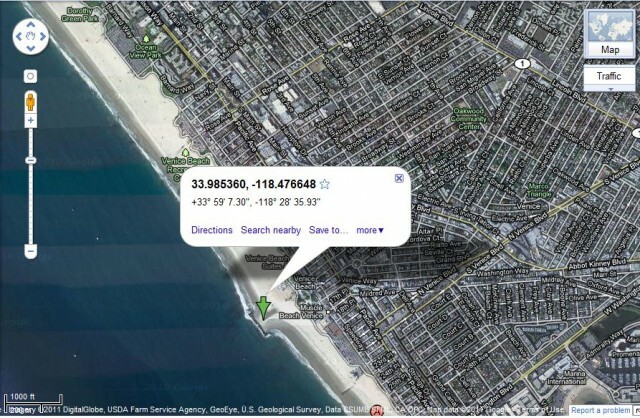 A article posted by Cheryl Rodewig on United States Army website with title "Geotagging poses security risks". They explain , The question was posed by Brittany Brown, social media manager of the Online and Social Media Division at the Office of the Chief of Public Affairs. He discuss the Security risks because of Geotagging for the military. If a Soldier uploads a photo taken on his or her smartphone to Facebook, they could broadcast the exact location of their unit. By looking at geotags of uploaded photos, you can easily find out where people live, what kind of things they have in their house and also when they are going to be away,. Because the location data is not visible to the casual viewer, the concern is that many people may not realize it is there and they could be compromising their privacy, if not their safety, when they post geotagged media online. Someone with the right software and the wrong motivation could download the photo and extract the coordinates from the metadata. But, there are a lot people out there who don't know that this kind of data is often included in digital images, or that the option of turning the GPS on these devices even exists. And even if they do, this option is almost always hidden behind several menu levels, and turning it off often means losing other GPS benefits. Security experts are particularly worried about the pictures posted on social networks, since they are usually accompanied by real-time statuses. The easiest way to stop posting this information for all to see it to disable geotagging on your smartphone. Kent Grosshans, MCoE OPSEC officer, suggests disabling the geotagging feature on your phone and checking your security settings to see who you're sharing check-ins with. Grosshans said it's as important to Soldiers as to family members.